The latest Google Maps update lets you book a spot at local restaurants through integration with OpenTable. 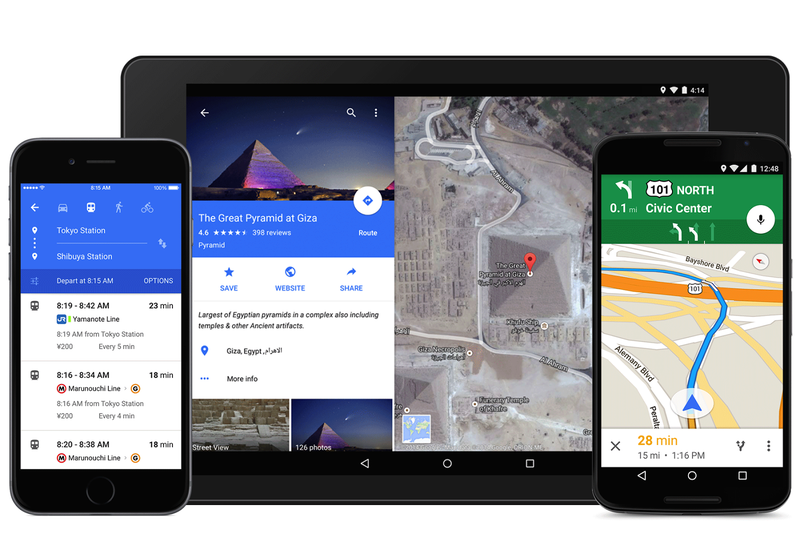 The update uses Google's new design language, Material Design, so when you open GoogleMaps on Android or iPhone over the next few days, it should look different. When you're looking at a map, you can tap for more info to pull up sites in the area, including local restaurants. People in the U.S. can tap further to make a dinner reservation within GoogleMaps. That's not the only change. You could already request an Uber using GoogleMaps, but this new update gives you more information about the car service, showing pickup time estimates and route prices.